(3 non-degree credit hours, pass/fail) ENG 007 is a one-semester course that meets students at their level of need, preparing them for ENG 111. Instruction in ENG 007 includes a multiple-step approach to the essay-writing process: prewriting, outlining, drafting, revising, and editing. A variety of formal essays is assigned, including a light introduction to MLA-style research writing. Class work is frequently student-centered. Students are encouraged to transfer writing skills to assignments in other courses. To earn three credits, students must pass the course with a final grade of C (75%). Students are graded on essays and homework, and in some cases tests and quizzes; class participation and attendance can also be factors. Keyboarding proficiency and access to a computer are expected. Students who dispute their ENG 007 placement will have the option during the first week of classes of composing a Writer’s Profile for evaluation. Any student who places out of ENG 007 can be referred to another composition course. Blended ENG is an ENG 111 course enhanced with two additional credit hours of basic essay writing instruction embedded into the syllabus. ENG 111, a Miami First Year Composition course, focuses on principles and practices of rhetoric and composition, and as a Global Miami Plan requirement, it is useful for producing writing that is effective for its purpose, audience, and context. Although instruction and grading are blended together seamlessly, final grade reporting is separate: ENG 007 is pass/fail, and ENG 111 is graded. The method and standard of grading for Blended English are consistent with the Miami Department of English First Year Composition Program. Blended English enrollment is by invitation only. Writing Studio is a late-start, graded, one credit-hour writing workshop that meets once a week for 65 minutes to work on assignments in ENG 111 and other writing-intensive classes. Students collaborate among themselves in small groups with direction from the instructor to discover ways to develop, revise, and edit their writing. Students responsibilities include submitting their drafts-in-progress, participating in small groups to offer and receive writing advice, and completing ENG 104/105 work, as assigned. Each workshop is limited to eight students. ENG 104 and 105 are interchangeable: students can enroll in either and can take the other course in a future semester. The course also benefits students enrolled in highly-competitive majors. This course teaches reading as a thinking process to improve understanding of written material. Instruction focuses on applying effective reading/thinking strategies to increasingly difficult reading material, addressing effective vocabulary and reading study skills including synthesis, evaluation, and argumentation. ENG 151 is a graded course that is designed to improve critical reading skills for students from all levels of reading ability. The course aims to improve skills in identifying and analyzing ideas, evaluating support, strengthening vocabulary, evaluating significance, drawing conclusions, making inferences and understanding meaning through context. A study of algebra topics which are background knowledge for Precalculus. Topics include linear equations in one and two variables, polynomials, rational expressions, radicals, quadratics, and an introduction to functions. Math Literacy for College Students is a one-semester course for students whose programs do not require Precalculus or Calculus. The emphasis is on active learning, applications, and context. Students work in groups daily, with very limited lecture time. Topics include numeracy, unit conversion, problem-solving, data analysis, pattern recognition, mathematical reasoning, linear, exponential and quadratic models, and basic statistics. MTH 049 is designed to be accessible to students that struggle with the abstract nature of algebra. The successful student will be well-prepared for STA 261 and MTH 119, as well as non-majors science courses that have traditionally required completion of an algebra course. This course is designed to teach non-native English speakers how to write effective essays. Instruction includes a multiple-step approach to the essay writing process with emphasis on paragraph development, sentence structure, and vocabulary enhancement. Assignments may include an introduction to research writing as well as the following essay types: expressive, analytical, explanatory, and argument. 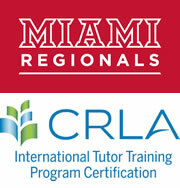 This course for non-native speakers is an adaptation of English 111 that fulfills the Global Miami Plan requirement. This graded course focuses on developing the rhetorical and analytical skills necessary to produce effective writing at the college level including the principles of organization and style as well as strategies to sharpen critical thinking, reading, writing, revising and editing skills. Students work in small groups and individually learn ways to improve academic writing in English. Course includes mini-lessons on rhetoric, grammar, and sentence structure. Instructor guidance and peer revision help to clarify assignments and improve papers assigned in writing-intensive classes. (3 non-degree credit hours, credit/no credit) This course for non-native speakers is an adaptation of EDT 002. Instruction focuses on learning and applying strategies in reading to improve language, vocabulary, and comprehension. (2 credit hours, graded) College Study Skills is designed to teach study skills such as reading, note taking from texts and lectures, organizing and composing, goal setting, self-evaluation and other necessary skills for students to function effectively at Miami University.This two credit hour graded course encourages students to develop an awareness of their thought processes, study behaviors and learning strategies.